We study the cosmological evolution of asymmetries in the two-Higgs doublet extension of the Standard Model, prior to the electroweak phase transition. If Higgs flavour-exchanging interactions are sufficiently slow, then a relative asymmetry among the Higgs doublets corresponds to an effectively conserved quantum number. Since the magnitude of the Higgs couplings depends on the choice of basis in the Higgs doublet space, we attempt to formulate basis-independent out-of-equilibrium conditions. We show that an initial asymmetry between the Higgs scalars, which could be generated by CP violation in the Higgs sector, will be transformed into a baryon asymmetry by the sphalerons, without the need of B − L violation. This novel mechanism of baryogenesis through (split) Higgsogenesis is exemplified with simple scenarios based on the out-of-equilibrium decay of heavy singlet scalar fields into the Higgs doublets. A. Sakharov, Violation of CP invariance, c asymmetry and baryon asymmetry of the universe, Pisma Zh. Eksp. Teor. Fiz. 5 (1967) 32 [JETP Lett. 5 (1967) 24] [Sov. Phys. Usp. 34 (1991) 392] [Usp. Fiz. Nauk 161 (1991) 61] [INSPIRE]. For recent reviews see e.g. S. Davidson, E. Nardi and Y. Nir, Leptogenesis, Phys. Rept. 466 (2008) 105 [arXiv:0802.2962] [INSPIRE]. V. Rubakov and M. Shaposhnikov, Electroweak baryon number nonconservation in the early universe and in high-energy collisions, Usp. Fiz. Nauk 166 (1996) 493 [Phys. Usp. 39 (1996) 461] [hep-ph/9603208] [INSPIRE]. J.M. Cline, Baryogenesis, hep-ph/0609145 [INSPIRE]. For a recent review on 2HDM see for example G. Branco et al., Theory and phenomenology of two-Higgs-doublet models, Phys. Rept. 516 (2012) 1 [arXiv:1106.0034] [INSPIRE]. 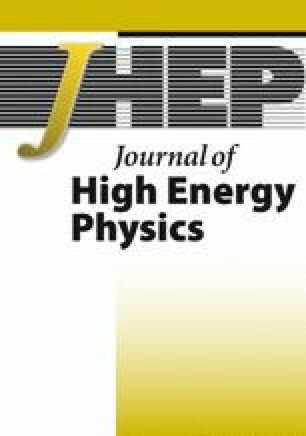 For recent reviews see for example B. Grinstein and P. Uttayarat, Carving out parameter space in type-II two Higgs doublets model, JHEP 06 (2013) 094 [Erratum ibid. 09 (2013) 110] [arXiv:1304.0028] [INSPIRE]. A. Barroso, P. Ferreira, R. Santos, M. Sher and J.P. Silva, 2HDM at the LHC — the story so far, arXiv:1304.5225 [INSPIRE]. P. Ferreira, R. Santos, M. Sher and J.P. Silva, 2HDM confronting LHC data, arXiv:1305.4587 [INSPIRE]. M. Krawczyk, D. Sokolowska and B. Swiezewska, Inert doublet model with a 125 GeV Higgs, arXiv:1304.7757 [INSPIRE]. CMS collaboration, Updated measurements of the Higgs boson at 125 GeV in the two photon decay channel, CMS-PAS-HIG-13-001, CERN, Geneva Switzerland (2013).